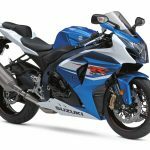 GSX-R owners of the affected models and years should hurry to take part in the incentive program for the Suzuki GSX-R recall before it expires. 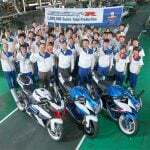 Brea, CA (November 8, 2018) – Suzuki Motor of America, Inc. (SMAI) is announcing that free pickup and delivery is now part of the trial incentive program announced in September to increase completion of the front brake master cylinder recall service on select GSX-R models. 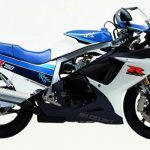 For a limited time Suzuki will arrange to have a customer’s affected motorcycle transported to a Suzuki dealership for the recall service and then returned at no charge. The free pickup and delivery offer is in addition to the incentive that provides eligible customers a $100.00 prepaid Visa card upon completion of their motorcycle’s recall service. 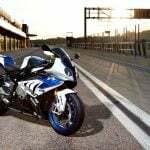 Suzuki’s goal is to reach customers who own or ride affected 2004 – 2013 GSX-R600/750 and 2005 – 2013 GSX-R1000 models, and to inspect and repair the front brake master cylinder on those affected models as quickly as possible. The eligible period for the Visa card incentive and the free pickup and delivery option runs between September 1, 2018, and November 30, 2018. The number of free motorcycle transportation opportunities and incentives are limited, and will be fulfilled on a first come basis. 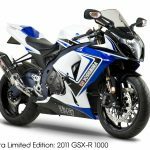 Customers who want to arrange transportation of their affected GSX-R to the dealership for the recall service can contact the Suzuki Customer Service Department at (714) 572-1490. A customer service representative will coordinate the transportation of the motorcycle to the dealer and its recall service. Suzuki began notifying eligible customers of the trial incentive program on September 1, 2018. 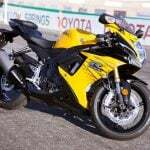 The program requires customers to get their affected motorcycles to an authorized Suzuki dealer for recall repair completion between September 1, 2018 and November 30, 2018. After the recall service is done, customers can register the repair at a special website and once that claim is verified from the dealer-submitted warranty claim, qualified customers will be sent the prepaid Visa card.